CWGC Notes: Buried Landi Kotal Cemetery B.18. Additional Information: Born in St. Margaret’s Twickenham on 2nd November 1894, and educated at Aldenham School, Elstree, where he was in the OTC. The 1901 census shows that Robert was living at The Old Rectory, Carshalton, with his family. He initially enlisted with the 1st Battalion Honourable Artillery Company in June 1914, and served with them in France throughout the entire war, at one point attached to the American Army. He was commissioned in 1916. In September 1918 he was accepted into the Indian Army as a Lieutenant. He was killed in action at Landi Kotal during the Third Afghan war. Additional Information: In 1911 the family were living at 43 William Street, The Wrythe, and Arthur was working as an errand boy. He later lived in Bunhill Row, St. Luke’s (London). Previously served with the 8th London Regiment (The Post Office Rifles - service no. 4758). Arthur died during a confused assault on German trenches at Leuze Wood, near Combles, during which many men overshot their intended objectives and were killed by the British artillery barrage. His name also appears on the ‘Willie Bird’ cross in Carshalton All Saints churchyard, Sutton war memorial, and the Sutton Post Office memorial. Additional Information: Lived at 119 Avenue Villas. Was an errand boy. Enlisted in July 1915, possibly lying about his age which he gave as 19 years 3 months. Served in the East Surrey Regiment (service no. 11298) before being posted to the Border Regiment. The 1st Border Regiment’s objective on the first day of the Somme was the Beaucourt Redoubt, just south of Beaumont Hamel. The attack commenced at 7.30am, the battalion war diary stating: “The 1st Battalion...then went over the top from our support line, and over our first line, the bridges over our front trench having been ranged by the German machine gunners the day previously. We met with heavy losses while crossing these bridges and passing through the lanes out in our wire. The men were absolutely magnificent, and formed up as ordered outside our wire, made a right incline, and advanced into “no man’s land” at a slow walk, also as ordered. The advance was continued until only little groups of half a dozen men were left here and there and these, finding that no reinforcements were in sight, took cover in shell holes or wherever they could.” By 8am the advance had ground to a halt. From a total of 822 men, 639 were dead, wounded, or missing. Additional Information: Born in Brixton on 5th April 1890, Ernest was employed as a ledger clerk for E.D. Sassoon & Co. and the family lived at ‘Ediedene’, Woodstock Road, Carshalton. He enlisted in August 1914 and was commissioned on 1st August 1917. He was wounded in action on the first day of the Somme and sent back to England with shellshock. His family lived in Cheam. Brother of Reginald Astill. Additional Information: Born in Brixton. Brother of Ernest Astill. Worked as a clerk. Killed in action on the first day of the Somme offensive. His battalion were involved in an assault on a series of trenches near Gommecourt. Although many men were wounded or killed by German machine guns and artillery, the assault was initially successful and the battalion advanced to the German third line. However, a shortage of grenades meant it became difficult to hold their position against counter-attacks and by mid-afternoon they had been driven back to the first line of German trenches. A few survivors were holding the line but by 7pm they were driven out. They suffered 352 casualties and 192 missing; in total over half the battalion. Additional Information: Born in Carshalton on 10th August 1896, Alfred lived at 8 Shorts Road, Carshalton and worked as a shop boy. He previously served with the East Surrey Regiment (service no. 11225). He had previously been wounded several times in action, receiving gunshot wounds to his face and shoulder in 1916, was gassed in 1917 and wounded in action again in March 1918 when he was shot in his right arm. Killed in action. Additional Information: Born on 15th January 1892 and lived at 20 William Street, The Wrythe. A labourer and leather dresser, he married in 1912 and had 3 children, the youngest of whom was born just 11 days before he died. Previously served with the East Surrey Regiment (service no. G3/91243). Was reported as missing after the first day of the Somme (see report of action under entry for George Allen) and declared killed in action at the end of July. Also commemorated on Sutton war memorial. Additional Information: Attended Whitehorse Road School in Thornton Heath. Worked in the Good Manager’s office at London Bridge terminus. Before the war he had been a member of the Croydon Battalion territorials and when war broke out he remained in England instructing new troops. However in 1917 he was sent to France. He was shot in the head during a night patrol, leaving a widow. The second of seven sons, four of his brothers also served and at least one was killed, in September 1916 whilst serving with the Canadians. Additional Information: Born in Carshalton and lived in Sutton. On 1st July the 7th Battalion assaulted the German trenches on a front of about 400 yards. After 12 hours fighting the final objective west of Montauban was reached and consolidated on a front of about 260 yards. Casualties in the ranks included 174 killed, 284 wounded, and 56 missing. 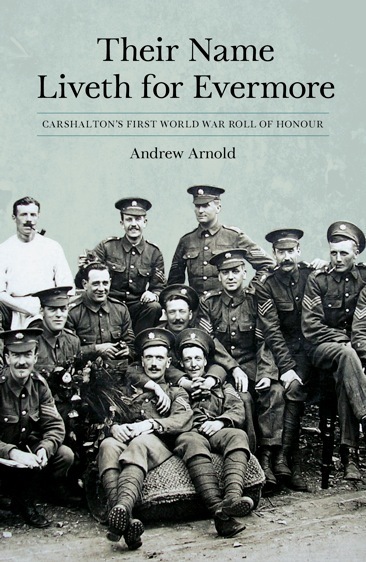 Additional Information: Born in Carshalton, Ernest joined the 10th Battalion East Surreys in November 1915. Previously he had worked as a coal porter. He was the only casualty in the battalion that day, caused by a gas attack. It was Private Baker’s children who laid wreaths on the Carshalton war memorial when it was unveiled in 1921. Additional Information: Born on 30th December 1898, Harold attended St. Olave’s school between 1910 and 1915. The record of Olavian Fallen states: “Harold William Baker excelled at cricket and rugby and was an NCO in the school cadet corps. He is mentioned frequently in the Olavian magazine between the years 1910 and 1915. In his spare time, not content with his strong religious beliefs, he had become and unofficial street preacher, taking the world of God into the slum areas - an often thankless task. 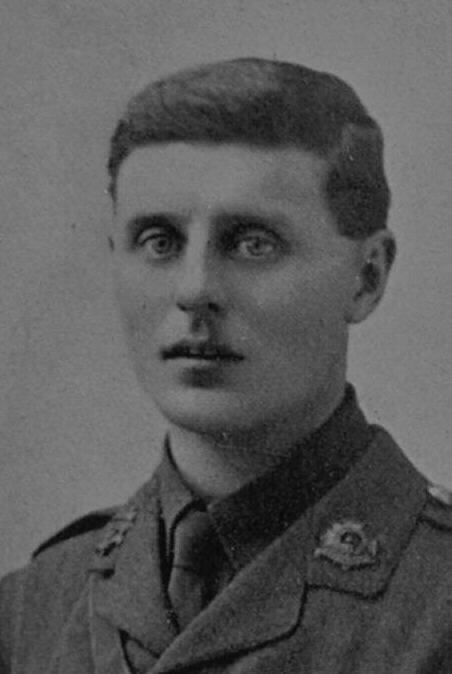 His best school friend was Harold Grose, a fellow rugby player, with whom he enlisted in the Fusiliers. Grose, who survived the conflict, would retain affectionate memories of 'the Preacher'. The Allied line gradually pushed 7 miles south east of Arras with men from Northumberland capturing the high ground of Wancourt tower. The 15th April saw desperate German counter attacks almost all repulsed. Private Baker was involved in all of these infantry actions at the tender age of eighteen. On the 16th, he was advancing with his friend Jimmy Wilde, a Welsh school master, and their officer, Lieutenant C E Powell, when all three men were cut down in one sweep of an enemy machine gun from the high ground. The three men were buried alongside each other by an officer of the Kings (Liverpool) Regiment, who later found them, after their brigade had pushed the reinforcing troops forward. The clean white stones of these brave men sit in the sunshine at the Heninel - Croisilles Road Cemetery, on a road that crosses a plateau south west of Arras." Additional Information: In 1911 Frederick was working as a trainee carpenter. He was discharged from the army in November 1917. Additional Information: Born in Lambeth and worked as a railway clerk. Had previously served with the Worcester Regiment. Additional Information: Born in Carshalton and lived at 21 St. John’s Road. He was married with 2 children. Worked as a shoemaker and enlisted in September 1915. He had previously served with the Royal Garrison Artillery for 10 months. He was discharged in August 1917 due to diabetes. Additional Information: Born in Wickham, was unmarried and lived at Oxford Villas, Green Wrythe Lane. Previously a labourer in the mills, he enlisted in November 1915. He was wounded by a gas shell whilst serving with the Labour Corps and died the same day. He is also commemorated on the ‘Willie Bird’ cross. Additional Information: His name also appears on the ‘Willie Bird’ cross. Additional Information: Born in Mildenhall, at the time of the 1911 census he was boarding with a family at 1 Rochester Road, Carshalton. Worked as a labourer and enlisted in September 1914. Died during an attack near the quarries at Hulluch – “The division was ordered to attack in conjunction with a general attack more or less all along the line. 12 noon the Artillery bombardment began and continued until 2 o’clock; smoke and gas began at 1 and was continued to 2. The attack was made by the 46th,12th, and 1st Division its main object was to straighten our line and if possible to take from the enemy one or two very nasty positions he had which enfiladed our line...At 2pm exactly B Company 2 platoons led by Lieutenant Hewat assaulted the whole of ‘gun trench’ by a frontal attack; at the same time bombing parties from A and B [companies] attacked both flanks. The frontal attack got in at once, the Germans running as soon as we got close. A Company under Captain Tomkins with two platoons followed up...but kept too much to the north and were badly cut up by machine gun fire in the open...There was a great deal of bombing on both sides and our men suffered rather heavily from enfilade fire from the quarries on our left...also the trenches were shelled somewhat heavily with high explosive. However the result was exactly what we had set out to do, we won the trench...The enemy made a counter attack at 5.30am which we easily repulsed with rifle fire....The men fought splendidly all through and attacked with great dash, this was especially creditable as they had been in the trenches for 4 months without a rest and the last 5 days had undergone a continual and heavy bombardment.” Casualties were 58 killed, 160 wounded, 33 missing. He is also commemorated on the Mildenhall war memorial. Additional Information: HMS Recruit was an ‘R’ Class Destroyer and was launched in April 1917 with a crew of 1075. On the 9th August 1917 it hit a mine in the North Sea. Herbert’s name also appears on the ‘Willie Bird’ cross. Additional Information: Born in Epsom, a gardener who enlisted on 20th August 1914 aged 28. Lived in Burgess Road, Sutton. He served overseas until November 1915, when he was sent home due to having had several epileptic fits. He was discharged in March 1916. That day the battalion had been subject to an attack by the Germans. Although they had been warned by a German deserter half an hour previously that the attack was going to take place, heavy casualties were still inflicted. An initial bombardment had been followed by the detonation of several mines along the sector, causing much chaos. The advance was checked and a counter-attack delivered, but little ground was retaken. The casualties for that period in the trenches were 31 killed, 123 wounded, and 242 missing. Additional Information: There is no record of Alfred on the CWGC website, however his service record survives and shows that he was 47 years 8 months old when he signed up in December 1916. After serving abroad he was discharged as no longer medically fit for service in January 1919 due to having a tumour in his mouth. A labourer, he was born in Chesterfield and lived at 32 Mill Lane, Carshalton. Additional Information: Lived in St. James Road and had already served for 2 years prior to the war breaking out. Died of wounds. His name is also on the ‘Willie Bird’ cross. Additional Information: Born in Maidstone in 1898, his occupation was a hairdresser. Brother of Reginald and William Brooks – they all died in the space of just over a month. Additional Information: The Pomerian was torpedoed and sunk by UC-77 off the coast of Portland Bill, with the loss of 55 men. Brother of Caleb and William Brooks. Additional Information: Born in April 1899 and enlisted in February 1917. On the 24th April 1918 the battalion was “In billets. Battalion ordered to ‘stand to’ at 4am. Moved up to line by stages during the day and took up position just South of Cachy. Battalion ordered to do counter attack at 10pm. From information received the enemy had penetrated our defences to a depth of 2000 yards (approx.) on a wide frontage. Battalion was formed up in position for attack with Royal West Kents on right and Australians on left. Night was intensely dark. Battalion moved forward to the assault and encountered slight opposition for first 1000 yards. When battalion on our right was held up by heavy machine gun fire, the reserve Company was ordered forward at this stage and thus reinforced. The assault was continued and final objective reached in spite of fierce enemy opposition and with two exposed flanks. The left company of battalion was ordered to withdraw in order to conform with line of battalion on left...During this action the regiment alone took over 200 prisoners. Many enemy dead were observed on the captured ground. Five enemy machine guns were captured during this action and handed over to the French on relief…The bearing of all ranks was most commendable, and deserving of the highest praise.” Casualties were 16 killed, 112 wounded, and 70 missing. Brother of Caleb and Reginald Brooks. Additional Information: Born in Carshalton, Bert lived at 25 Waterloo Road in Sutton. His occupation is given as laundry hand. He joined the East Surrey Regiment (service no. 24304) in June 1916. Died in the UK. Additional Information: Lived at 33 Sutton Grove and worked as a bricklayer. Additional Information: Joined the Public Schools Battalion in 1915 and saw active service as a stretcher bearer. Was shot in the abdomen by a sniper on or around 11th April. He started to recover and was able to write to his wife but suffered a relapse and died on 25th April. He worked for a press agency and was superintendent of the Sunday school at Emmanuel Church, Park Lane, Carshalton, as well as the minister’s warden and member of the choir. Additional Information: Born in Carshalton and was a clerk. Signed up in December 1915. Resided at 2 Butter Hill. Brother of Charles Brown. The battalion war diary for the day states: “At 4am the Battn withdrew to Feuchy Chapel. About 10am moved to Brown Line by Railway. Advanced under slight enemy artillery fire and machine gun fire until checked by intense MG fire about 600 yards west of Monchy-le-Preux. Our casualties by this time were fairly heavy.” Total casualties 9th – 11th 12 officers and 24 other ranks. Additional Information: Lived at 31 Sutton Grove. In 1911 was working as a school newsboy. Additional Information: Born in Carshalton and was a labourer. Enlisted in November 1915. He died of wounds received in a trench raid in on 25th January near Hulluch – “The battalion carried out a successful trench raid against the enemy...Purposes were (1) To obtain identifications (2) To inflict losses on the enemy (3) To secure a sample of German ration bread. Strength of party – 3 officers & 50 O.R, 6 sappers...Their advance was apparently not observed, as no fire was directed at them...and [they] entered the enemy’s trench without casualty...About 60 yards from the point of entry...2nd Lieutenant LC Thomas came upon two sentries with their hands in their pockets standing on the firestep: he called on them to surrender, but as they made a movement to raise their rifles he shot them both; it was evident that these men had not, previous to the appearance of 2/Lt Thomas, the slightest idea that anything unusual was occurring. At this point there was a dugout, the entrance of which was covered with a canvas screen; a German came out and was shot by 2/Lt Thomas, the latter then ordered several of the enemy, who were sitting on the steps leading down to the dugout, to surrender, as they were screaming with terror and apparently paralysed with fear. 2/Lt Thomas fired a shot into the entrance upon which 3 Germans surrendered; shortly afterwards some of the enemy were seen escaping by the other entrance; 2/Lt Thomas shot one of these and the bayonet men two others. By this time the alarm had evidently been given as the party were being bombed. 2/Lt Thomas decided to withdraw...Near the junction of Sap 45 with the enemy’s front trench, the entrance to a dugout was seen, and near to it a German was seen looking through a periscope; the latter was shot by the leading bayonet man. The dugout had three entrances; Sergeant Summers shot one of the enemy escaping by the third entrance. All the entrances were then guarded. From sounds it was certain that there were a considerable number of the enemy in the dugout, but, in spite of Mills’ and [smoke?] bombs being thrown down they refused to come out...The order for withdrawal was then received, and the party withdrew; Sapper Wilkes having meanwhile blown in the dugout with a mobile charge.” The party then withdrew, with two of the sappers being wounded. Casualties were 3 killed and 4 wounded (3 sappers and 1 East Surrey – Walter Brown). His name also appears on the ‘Willie Bird’ cross. Additional Information: Born in Carshalton, his address is given as The Limes, Lodge Road, Wallington. His occupation was given as ‘bioscope operator’ and he signed up in June 1915. He died of wounds received in action. He also served with the East Surreys, and was awarded the Military Medal. Additional Information: The 9th Battalion war diary for the day records that ‘C’ and ‘D’ companies were part of an attack on a German strongpoint (a concrete dugout surrounded by a trench) south west of Guillemont. The attack was made in 3 waves of 80 men each. The artillery bombardment commenced at 5.10pm and lasted for half an hour. The war diary reports that “during the bombardment several of the 18 pounders fired short and caused casualties among our own attacking party in the trenches, during the whole of this bombardment the enemy’s machine guns were very active and never ceased firing…At 5.42pm all our three waves left their trenches and advanced in perfect lines towards their objective. No sooner had the first wave left its trenches they were surprised to see the enemy looking over their parapet…The first two waves on approaching the enemy’s line first came under very heavy rifle fire, and as they approached still closer to the enemy’s trench by a tremendous volley of bombs. Nearly all the men when within a few yards of the trench were either killed or wounded, and only two officers and one or two NCO’s actually succeeded in getting into the German trench, they were never seen again. Wounded men and a few that were not wounded jumped into the nearest shell hole and threw bombs at the enemy until exhausted, they crawled back to our trenches during the hours of darkness. The right of the third wave joined the first two waves, the left came under machine gun fire from the direction of Guillemont and were withdrawn…as the first two waves had not been successful.” Casualties were 190 killed, wounded, or missing. Additional Information: A plasterer born in Carshalton, Robert enlisted in December 1915. He was killed in action near Hulluch. The war diary for that day states that the Germans launched two ‘minnies’ into the battalion’s trenches, killing one man and wounding seven. Additional Information: Born in Clifton, Worcestershire. Worked a market gardener and had previously boarded with the Greenslade family at Westmead Road. At the end of July 1917 the 13th Battalion was near Gouzeacourt, where each company spent 2 days in the camp near Dessart Wood, obtaining baths and firing on the range. At night the companies were posted to the battalion front, and it is likely that Sergeant Caisbrook was died of wounds received on the 26th, when seven other ranks were wounded and three killed. As well as the DCM (second from the left in the above picture), Harry was awarded the Russian Order of the Cross of St. George, 3rd Class (Pictured right). Additional Information: Born in Croydon. A shop assistant, he signed up in November 1915. Killed in action. Additional Information: Born in Hackney. A bookbinder, he enlisted on 27th August 1914. Probably killed by German shelling whilst in trenches near Bethune. Additional Information: Born in Carshalton, was a brickmaker and lived at 19 St. James Road. He enlisted on 14th September 1914. See the war diary entry under William Buckenham for an account of the 9th Battalion’s action on 26th September 1915, after which he was missing, presumed killed. He is also commemorated on the ‘Willie Bird’ cross. Additional Information: Born in Carshalton. Signed up to the army in January 1910 when he was 18 years old. He was employed as a potman by Mr G. Bird of The Cricketers, Carshalton, who provided a reference for him. 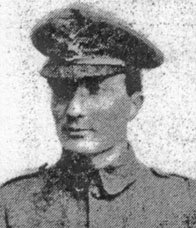 Stepson of Rifleman Ernest Dale. Arthur was killed in action near Zonnebeke, a report of which is given in the battalion war diary: “At 5am enemy opened fire with shrapnel which continued until 9am when trenches were heavily bombarded. The fumes from the shells…affected men and in some cases rendered them unconscious. Casualties to noon 4 killed and 18 wounded. At about 1pm the enemy attacked the whole line held by the battalion. They broke through…and some occupied a small trench in rear but were dislodged and 8 captured. The remainder made for the railway but the company in dugouts attacked them and captured 1 officer and 28 men…The enemy succeed in occupying a portion of trench…but were speedily driven out by the 9th Middlesex at point of bayonet…the enemy in attacking were careful not to mask the loopholes of their own trenches and the fire from these loopholes caused heavy casualties amongst the men who were obliged to fire over the parapet.” Casualties for the day were 87 killed, 113 wounded, and 43 missing. His name also appears on the ‘Willie Bird’ cross. Additional Information: A clerk for Carshalton Urban District Council, he originally enlisted underage but was discharged when his true age was discovered. He re-enlisted in June 1917 aged 18 years 1 month. His address is given as 55 Clapham Road SW.
Additional Information: Born in Hambeldon, Hampshire. In 1911 he was living in Haywards Heath. See war diary entry under Arthur Baker. His connection to Carshalton is currently unknown. Additional Information: Signed up in March 1917 giving an address of 2 The Exchange, London Road, Thornton Heath. A clerk. Additional Information: Born in Croydon and worked as a general labourer. Also commemorated on the ‘Willie Bird’ cross. Additional Information: Born in Haverstock Hill, was an insurance clerk living at 9 Westcroft Road. Was married with two children. Additional Information: Born in Wycombe, lived at 30 Station Road and was a labourer, having worked for the South Metropolitan Electric Light Company. Married with 2 children. Enlisted in 1915. Was discharged due to a bomb wound in his right thigh received in September 1918. Correspondence in his service record from his wife suggests that he died as a consequence of being gassed. Additional Information: Born in Halifax. Attended Sutton County School between 1903 and 1908. Entered the army under the Derby scheme in February 1915, but The Suttonian notes that his work as a chemist prevented him from being called up for over a year. The Surrey Recruitment Register, however, gives his occupation as chauffeur at the time of his enlistment, and states he was residing in the High Street, Carshalton. He initially joined the 5th Essex Regiment, and was then transferred to the Royal Warwicks. He went to France in June 1917, and was shot by a sniper shortly after climbing over the parapet of his trench. Additional Information: Born in Brenchley in Kent. Was an office clerk and lived at 12 Byron Avenue. Attended Sutton County School from 1909-10. Joined the Royal West Kents early in the war. Was shot in the stomach at Loos in September 1915. When he returned to France was shot by a sniper whilst part of a bombing party. 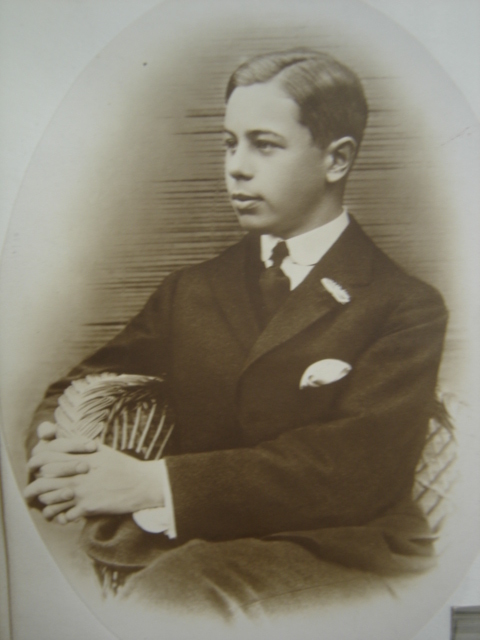 Additional Information: Born on 16th March 1879, he was educated at Whitgift School from 1892-1894. His parents lived at ‘The Cottage’, West Street, Carshalton. Worked as a clerk on the Stock Exchange then worked at the Admiralty and as a Special Constable in Carshalton. 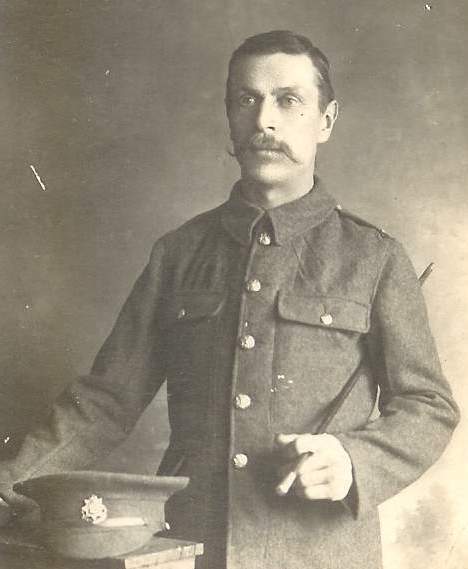 He married in Carshalton on 14/02/1915 and had a son, Peter Frere, on 18/12/1915. Was a resident of Tilehurst. He enlisted in Reading on 30/10/1916 and had only been sent to France in January 1917. Was killed in action at Ecoust by machine gun fire. Also commemorated on the Stock Exchange war memorial and in De Ruvigny’s Roll of Honour part 3. Additional Information: Was born in Ashford, Middlesex. Lived at 4 Rose Cottages, Pound Street, and had previously worked as a grocer’s assistant. HMS Derwent was sunk by a mine off Le Havre. Additional Information: Born in Battersea and was a clerk prior to enlisting in May 1916, only 5 months before he died. Additional Information: Born in Bermondsey and a labourer, he lived at 35 Station Road, was a printer machine hand and played football for Carshalton Athletic. He enlisted in September 1914 and was killed in action at Loos when the battalion carried out a full frontal assault on a German position where the wire had not been cut. Additional Information: Born in Carshalton and lived at 2 Parkside Green. A labourer, his name also appears on the ‘Willie Bird’ cross. Additional Information: Was married and lived at 13 Westcroft Road, Carshalton. Was a fishmonger and poulterer. Was wounded by a gas shell in August 1918, although it is unclear whether this caused his death two months later. Additional Information: Born in Carshalton, a labourer before joining the army in July 1909 aged 17. Killed in action. Additional Information: An unmarried labourer who was born in Wallington and lived at 11 Mill Place, Carshalton. He signed up in May 1915 and was reported missing following an attack to take back parts of Delville and Longueval Woods that the Germans had captured on the 19th July. The battalion war diary for the 23rd July states “Our function as a battalion was to capture and hold the two strong points…known to contain machine guns. The latter, as it was considered to be partially responsible for the heavy casualties incurred by the 2nd Suffolks on the morning of the 20th, was to be attacked at 3.15am…The former post…was attacked as part of the general assault at 3.40am with great judgement and skill by…a composite party of battalion snipers, sappers and Royal Engineers supported by two platoons of No.4 Coy and a Lewis Gun team. The post was captured, one M.G. was captured and 5 others put out of action. In addition, it was estimated that some 30 to 40 Germans were killed by grenades and the post successfully consolidated…Our Lewis Guns did good work against the Germans, who seizing their opportunity secured as much ground as possible while our units were reforming…This small but important raid was well planned and equally well executed.” Casualties to 12 noon on 23rd July were 5 officers and an estimated 119 other ranks. Additional Information: Samuel was born in Sutton in 1878 the youngest son of James Francis Currier and Jane (nee Rooke). He had three elder sisters Elizabeth b.1869, Emily b.1870 and Harriett b.1872 and two elder brothers, James b.1874 and Richard b.1876. He married Annie Lucy Carter in 1902 and had three children, Charles Herbert b.1902, Evelyn Elsie b.1907 and Francis William b.1911. He grew up in Morland Road, Sutton where he became an errand boy. As a young man he and his brothers moved to Marylebone where in 1901 he was working as a bus conductor. By 1911 he was back in Sutton with his young family working as a general labourer in the building trade. He entered the war in 1915.See the war diary entry under Bertram Caine. Died of wounds. He is also commemorated on the ‘Willie Bird’ cross. Additional Information: Born in Carshalton and was a labourer, married with 4 children. Stepfather of Lance Corporal Arthur Chandler. He enlisted up in September 1914, stating that he had previously served with the Scots Guards. Was killed in action. His name also appears on the ‘Willie Bird’ cross. Additional Information: No record of this man can be found on the CWGC or SDGW, or using birth and census records. However one source indicates that he died on 27th December 1916 and lived at 21 Station Road. The local paper also lists his name at the unveiling of the memorial, stating that he was a Private in the Tank Corps. Additional Information: Also commemorated on Birmingham University memorial. Additional Information: Born in Wallington and lived at 92 Stanley Road. A labourer, he enlisted in January 1915. Additional Information: Born in Carshalton and lived at 3 Parkside, Green Wrythe Lane. Unmarried Joined the 4th East Surrey Regiment in December 1915. His pre-war occupation is given as ‘Painter’s Assistant’. Was killed in action, having initially been declared missing. Additional Information: Born in Wandsworth on 25th January 1892, Hermann was an unmarried clerk. He had originally served as a Trooper with the Royal Horse Guards (November 1914-March 1915), before being commissioned as a temporary Second Lieutenant with the Royal West Surrey Regiment in March 1915 (stating that he could only ride ‘slightly’, having had about two dozen lessons). From there he was transferred to the Machine Gun Corps in December 1915. Killed in action. His body was recovered near Courcelette in December 1917. Additional Information: Born in Carshalton and lived at 78 Mill Place. He was a labourer. Was killed in action - see war diary entry under Arthur Baker. Additional Information: Born in Cross In Hand, Sussex. Lived at Laundry Cottage, High Street, Carshalton. A waiter, he enlisted in August 1915. Probably killed or died of wounds whilst the battalion was holding trenches near Hollebeke. His brother Albert was in the 7th Queen’s and was awarded the DCM. Additional Information: A keen athlete and secretary of the local athletics club. From the 24th – 26th September the battalion was involved in a small action near Pontruet, designed to straighten the line and gain the high ground in the area. The objectives were taken on the 25th, although after that they suffered frequent enemy shelling until relieved on the 26th. Casualties were 5 killed and 24 wounded. James’s name also appears on the ‘Willie Bird’ cross. Additional Information: Another man whose details do not appear on the CWGC, but who was listed in the local paper when the memorial was unveiled. Born in Reading in 1881 and died in Epsom in 1918. A motor driver, he was married and lived in Stockwell prior to enlisting. Served in Egypt in 1916 before being discharged as medically unfit in October of that year. His connection to Carshalton is unknown. Additional Information: Enlisted in September 1914. Was a doctor working at Queen Mary’s Hospital in Carshalton. Did not serve overseas. Additional Information: The 1901 census shows Reginald and his family living at 112 Rochester Road. The Regimental History records that “The hours before the attack were far from pleasant, and heavy shelling gave us many casualties. Our intense bombardment, the largest of the kind that had been effected up to that date in the war, started at 6.25 a.m. The Boche artillery retaliated considerably, though the explosions of their shells, unless very near, were drowned by the noise of our own bombardment. This lasted up to 7.30 a.m. when the artillery lifted on to the final objectives, and the infantry, covered by a smoke screen, moved forward to the attack. The Battalion had a particularly difficult task in front of it. With the exception of the Q.V.R. it had to cross a wider stretch of No Man's Land than any other battalion in the two divisions attacking Gommecourt Wood.” The battalion suffered most of its killed and wounded from the numerous German machine guns entrenched in and around the wood. Additional Information: Frederick was born in Dover in 1895. HMS D6 was a British D Class submarine. She was sunk by UB-73 off the west coast of Ireland on 24th June 1918. Frederick is also commemorated on the Stockwell war memorial. Additional Information: Also served with The Queen’s (Royal West Surrey Regiment). He was wounded and gassed in 1918, and died of his wounds the following year in hospital in Nottingham. John’s name did not originally appear on the war memorial – soon after it was unveiled his mother wrote to the local paper asking how she could get his name added. Additional Information: Attended Whitgift Grammar School between 1908 and 1911, and Malden College. Joined the Royal Engineers Signals in October 1914 as a Second Lieutenant and was promoted to Lieutenant in July 1917. Specialised in field telegraphy and signalling and had proceeded to the front only 10 weeks before his death. He was killed in action on the Ypres-Menin Road whilst in charge of a signals working party. His Colonel wrote “He was perfectly splendid, always cheerful, and a grand worker. In the short time he was at the front he had already done so well that I had sent his name for the charge of divisional artillery signals with the acting rank of captain. He would certainly have won the Military Cross had he survived. He was one of the best of my boys.” He is also commemorated on Sutton war memorial. Additional Information: Born in Marylebone. Had previously served in the army and been discharged just before the war started, and had obtained a job with the Birmingham police force in November 1913. He was called up on reserve on 4th August 1914, and went to France with the 1st Battalion on the 20th September. He was wounded in the leg at Hooge in 1915 after already having a narrow escape when a shell killed the Sergeant standing next to him. On the 28th April 1917 Frederick’s battalion moved into Niger Trench near Wancourt in the Arras sector. On the 3rd May orders were given for an attack to be made on the German held Ape Trench in order to straighten the lines. Frederick’s battalion was detailed to occupy and hold Ape Trench once the initial assaulting force had captured the position. The attack was a success with Ape Trench being captured and Frederick’s battalion maintaining possession until relieved on the night of Friday 4 May 1917. Casualties of 12 men killed were taken during the attack. He was initially reported missing and was not reported killed until December 1917. Additional Information: Born in Haverstock Hill, Middlesex and worked as a window cleaner. Additional Information: Born in Carshalton and lived at 16 William Street. Known to his family as ‘Jumbo’. A labourer, he joined up underage in May 1915. He was appointed Lance Corporal in October 1917 and was awarded the Military Medal on 29th December 1917. He was killed in action in the Fonches/Hallu area of the Somme, having already been wounded once before. His name also appears on the ‘Willie Bird’ cross. Additional Information: Born 2nd April 1894 and had joined the Officer Training Corps whilst at Emanuel School in Wandsworth. After this he worked for an engineering firm. He was unmarried and lived in Dalston. He was commissioned in November 1914 and had landed in the Dardanelles in May 1915, immediately being thrown in to heavy fighting. He died of wounds. His father was the landlord of the Windsor Castle PH in Carshalton, and he was the brother of Stanley Gabb. Additional Information: Brother of Richard Gabb. Had been in the OTC (Officer Training Corps). Commissioned to the MGC in September 1916. Additional Information: A plaque in All Saints church reads ‘Remember before God Richard Garrett of this Parish. Captain of the RMS Rappahannock torpedoed and sunk with all hands 27th October 1916. RIP.’ The Rappahannock was sunk by U69 70 miles off the Scilly Isles, with the loss of 37 men. Additional Information: Born in Clapham, lived at 17 St. John’s Road Carshalton. A leather hand by trade, Herbert signed up in January 1916. His name also appears on the ‘Willie Bird’ cross. Additional Information: Was born in Carshalton and was a painter. Enlisted in September 1914. Killed in action. Additional Information: A baker, he lived at 47 Mill Lane, Carshalton, and joined the Army Service Corps in January 1915. Killed in action. Additional Information: Born in Sutton, he was a milkman who lived at 16 Station Road, Carshalton. Joined the East Surrey Regiment in March 1915. He was initially reported missing after the first day of the Somme offensive - see the war diary entry for that day under George Allen. At the end of October 1916 he was declared killed in action. Additional Information: Born in Kingston. Lived at 3 Percy Villas, Waterloo Road, and had previously worked as an errand boy. HMS Bulwark was moored off Sheerness when there was a huge internal explosion that destroyed the ship. Only 12 of the crew survived. Additional Information: Born in Carshalton, his occupation when he enlisted in September 1914 is given as ‘carman’. Worked at Stevensons Stores and was a keen footballer. He went to France at the end of May 1915. Had been slightly gassed at Ypres. 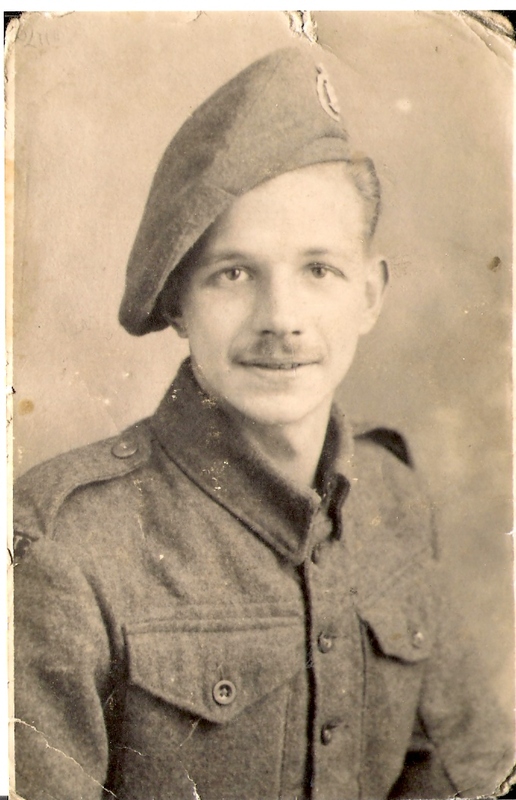 His brother Frank served in the Royal West Surrey Regiment, and he also had 6 cousins serving. He was initially reported as missing following heavy fighting from July 26th – 30th. In December one of his comrades wrote to his parents to confirm that he had seen Bertie lying on the ground having been shot in the heart. No.9 Platoon had attacked a German trench but come under heavy machine gun and rifle fire, killing or wounding most of the platoon. Additional Information: Born Carshalton, lived at 19 Cambridge Road. Was married with one daughter and worked as an insurance agent. Additional Information: Born in Slinfold in Sussex. Worked as a domestic gardener. Also served in the 2nd London Regiment. “On the night of the 8th – 9th, the battalion moved up into assembly trenches at the head of Angle Wood Valley just below the crest along which runs the road from Leuze Wood to Guillemont, preparatory to an attack on the enemy's position at Ginchy Telegraph next morning. The attack started at 4.45am on the 9th. Immediately on crossing the ridge in front of the assembly trenches all companies came under very heavy machine-gun and rifle fire. This fire was coming from a German position half left from the line of advance…The right leading company (C) encountered no enemy during their advance to the first objective except a small party of about twenty in a listening post, the survivors of whom were captured. The left leading company (D) advanced under heavy machine-gun and rifle fire and by the time the Company reached the crest of the slope their strength had been reduced considerably. The men were ordered to lie down and open fire on the German trenches which were sited in a basin on the left front of the Company…D Company then advanced to the trench…which was unoccupied and which they proceeded to consolidate, at the same time keeping up rifle fire on the enemy trenches.” Also commemorated on Sutton war memorial. Additional Information: Born in Plymouth. Attended Cranleigh School. Killed in action. Additional Information: Born in Carshalton, lived at 27 Harold Road and was a gardener. He joined the London Rifle Brigade in January 1915. Brother of John Granville Groombridge, and had previously been wounded in March 1918 when he was shot in the hand. He died in hospital of wounds to his chest a day after the 2 year anniversary of his brother’s death. He was buried with full military honours on 10th September and is also commemorated on Sutton war memorial. Additional Information: Born in Sutton and enlisted on 4th September 1914, where his occupation was given as ‘attendant’. Killed in action. Brother of Herbert Arthur Groombridge. Also commemorated on Sutton war memorial.